Shopping should be fun. No parking stress, painful feet, closed doors or credit cards that refuse to work. That’s why we offer a few practical tips. Shopping in Antwerp is always a good idea. Most shops are open from Monday to Saturday, from 10 a.m. to 6 p.m. (supermarkets until 8 p.m.). 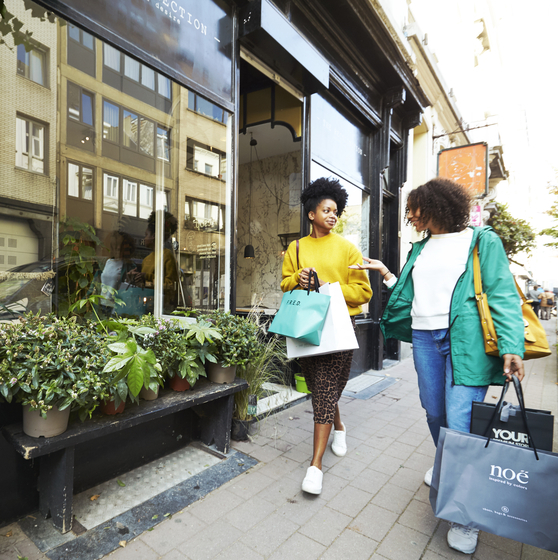 You can even enjoy shopping on Sundays: most shops in the historic city centre open their doors every first Sunday of the month. Shops in the Hoogstraat and the Kloosterstraat are open every Sunday. 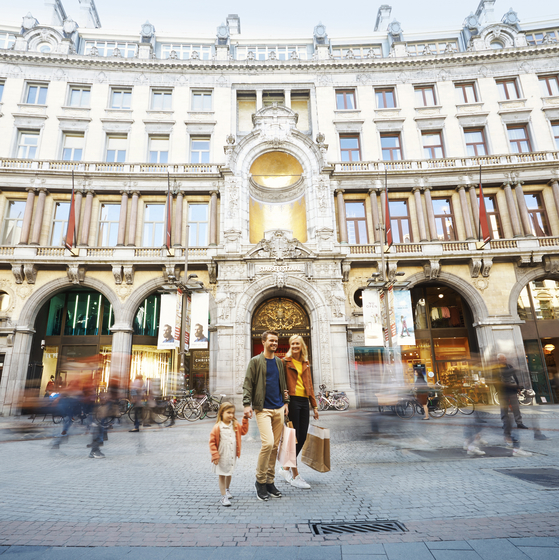 You can get to the commercial heart of Antwerp in different ways. Public transportation is highly recommended. Those exiting Central Station immediately enter the shopping streets, and trams or the metro will take you right into the shopping zones. You can find information about public transport on the De Lijn and NMBS websites. You can leave your vehicle on one of the car parks at the edge of the city. Those who prefer to drive right into the city will find several payable car parks. You can also use the Velo bike rental service in the city. Need to catch your breath between shops? 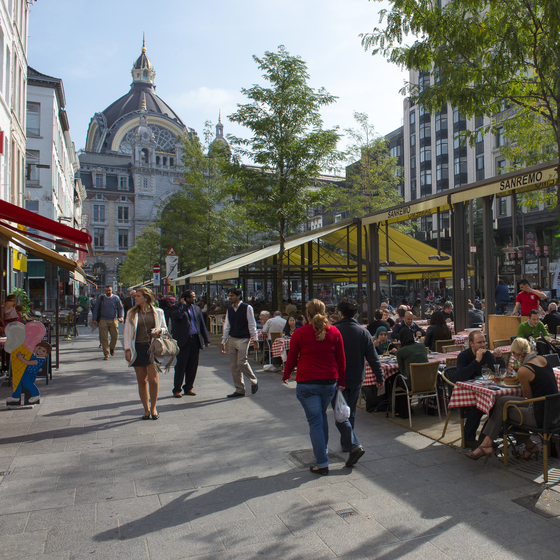 Hop into one of the many cafés, brasseries, snack bars or restaurants in Antwerp. You can also just settle down on a bench and enjoy looking at the many pretty buildings that our shops are housed in. Need to replenish your reserves? You can withdraw some extra cash in one of the banks in the city centre or from a cash dispenser – some of them are not in banks .Banks are usually open from 9 a.m. to 12 noon and from 2 to 4 p.m. The cash dispensers inside are accessible from 6 a.m. to 10 p.m. and those outside on the street are always accessible.